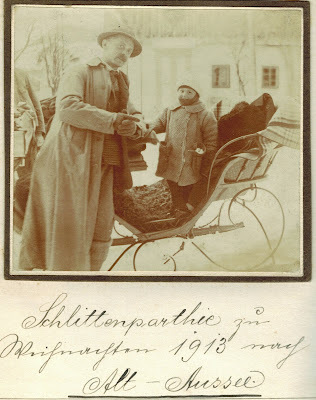 Kurt of Gerolstein: Hero or Murderer, or which Adler were you? 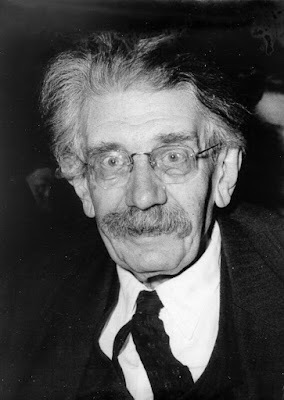 Hero or Murderer, or which Adler were you? My family history never ceases to surprise me. I, recently, watched (a very rare occurrence) a highly enjoyable and intelligible series on television, hosted by Simon Sebag-Montefiore, on the history of Vienna. 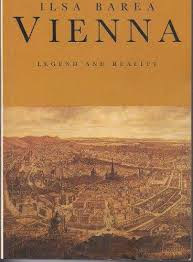 And I remembered that, many years ago, I had bought and read, with curiosity, a semi-scholarly book entitled Vienna: Legend and Reality by one Ilsa Barea. I decided I would dig it out and take it, as an alternative to struggling with a recalcitrant video screen, on my plane trip to Australia. Reading it again, 20 or 30 years on, in the light of the TV show, and my own subsequent delvings into things Viennese, I was reminded of an essay I wrote in University days: What really happened at the Battle of Marathon? Well, what did? No one knows. You either believe the Greek version, or the Persian version. And they are well and truly different! Mrs Barea was clearly a confirmed socialist. So here we get the Persian version. Her book’s biggest hero seems to me to be Dr Viktor Adler, the effective developer of the poorly-organised Viennese left-wing movement into the Austrian ‘Social Democrat Party’. 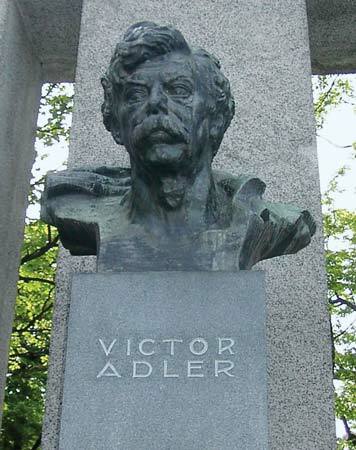 His son, Friedrich Adler, was the politically-motivated murderer of the Austrian Prime Minister in 1916. Politics didn’t get a mention in our house when we grew up, and I remain, today, what some have called ‘politically naïve’ and what I call, simply, ‘utterly uninterested’. However, in an earlier generation of my family, it was quite different. My Viennese great-grandfather, Eduard Stojetz (1860-1942), was a keen and active participant in the new party’s affairs, and there are records of his daughter, my grandmother, reciting political poetry to the ‘brothers’ at the meetings of the Floridsdorf chapter. 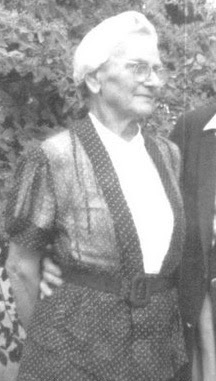 Nana (widow of a Jew) stayed in Vienna, through the war, and when I asked what she did, I was told that she was ‘a secretary at the Social Democratic Party’. Well, that sounded middle-of-the-road enough. How was I to know? I didn’t ask any more. Father clearly thought I had understood, and he told me one day, slightly apologetically, that his grandfather had seen the famous charge of the mounted imperial cavalry against the ‘workers’ and never forgot it. 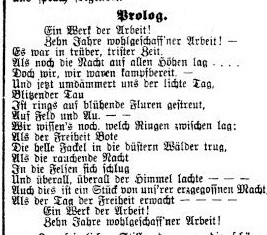 The trouble is, that happened in 1848. Unless they did it twice. So maybe it was his great-grandfather. I didn’t ask any more. I was only interested in stories about music and opera and theatre and literature and sport. Politics schmolotics. So my father, it seems, spent his first days … hmmmm … Dad was five when the murder took place. Maybe that’s got something to do with the reason why politics wasn’t talked in our house… even by the indomitable Nana.